Being a child of the 60’s, and having done my fair share of LSD, both when it was brilliant and legal, illegal and fun, then heading off to Viet Nam as a Nurse where I discovered truly wonderful weed, and returning to a slow-mo world laced with delicious Quaaludes, Tuinals, Seconals, and my favorite standby Valium, I would certainly consider myself to have been a Head during those hazy years, and yes, I would still consider myself a Head to this day. “Heads” considers a time when the magic of music defined who we were, when my generation’s ideas and ideals stood in stark juxtaposition to those of our parents and the almighty establishment, when we believed with idealistic notions that though sheer will, we could effect a life altering change, not just for ourselves, but for the planet and all mankind. “Heads” manages to part the curtains and to allow those of you who missed those heady days to see beyond the blue haze of social activism, inward searching, fanatic band adulation, and those who just wanted to step off the map. “Heads” will show you that even in our imagined anti-establishment manifestos, we had our secret handshakes, a secret language, knowing nods, and more weirdness than one should ever consider letting out of the jar. 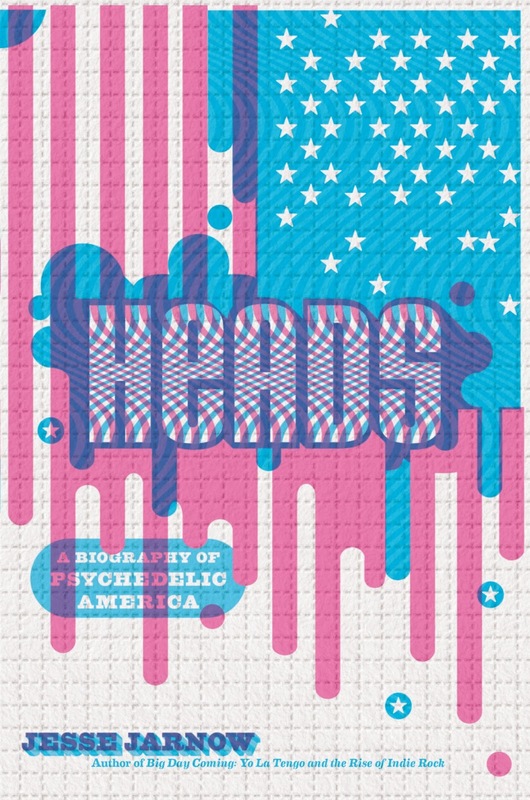 If “Heads” manages to do anything joyously and correctly, it’s that Jesse Jarnow manages to connect the fast paced banter and dovetailing required to fully comprehend all that was going down … both on the east coast, the west coast, and little unimagined places all across America. The book is both about evolution and de-evolution, about structure and de-structure, and about an almost incomprehensible substance called essence. “Heads” is the ultimate biography, the biography of a generation, the biography of a time when the would seemed to hold a collective breath, wondering what change would come next, and how far boundaries could be stretched until they broke. But “Heads” doesn’t just stop there, Jarnow manages to connect dots into the future, making connections one might not consider on first glance, making for an important and fun read … while perhaps, for those who were there like me, be the genesis of a mind-bending flashback.